Gwen Sullivan is here to change things for the people! ✊🏾 #InContemptBET starring @TheEricaAsh hits BET this April! Kim Derko c.s.c. 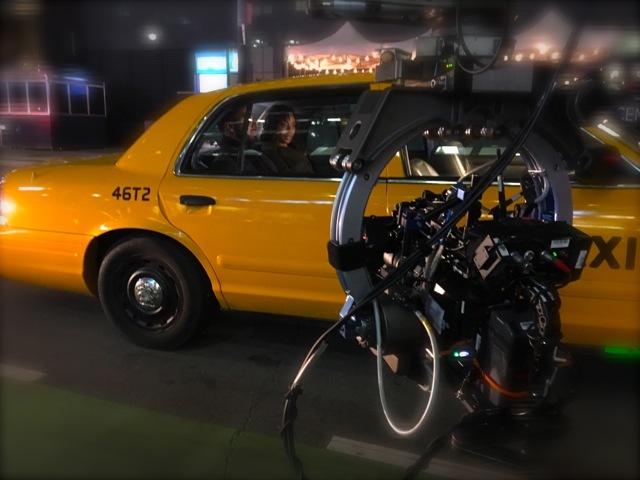 is a full member of the Canadian Society of Cinematographers, IATSE 667, The International Caucus of Female Cinematographers and the Directors Guild of Canada. A graduate of Emily Carr College of Art & Design in Vancouver, Kim Derko csc studied art history, colour theory and photography before becoming a cinematographer. Kim Derko csc has just wrapped shooting Season One of In Contempt, for BET /Viacom, a legal drama for starring Erica Ash, and has also finished shooting Season One of Star Falls for Nickelodeon / Netflix this year and has wrapped her fifth season shooting the Family Chanel hit series The Next Step as well as the second season of the television series: Lost and Found for Disney/Family Channel. Kim Derko has directed 6 episodes of The Next Step. Also she has directed two episodes of "Odd Squad" for PBS and several short films which have all premiered at the Toronto International Film Festival. "Coronation Park", co-directed, in collaboration with Su Rynard premiered at the Toronto Urban Film Festival. She has directed numerous music videos and spots for VH1, and won a best independent music video award at Canada's MMVAs for Shadowy Men on a Shadowy Planet's " They Don't Call them Chihuahuas Anymore". Ms. Derko garnered a Gemini Award win for cinematography of Youkali Hotel in 2004, and won Best Cinematography for "A Winter Tale" at the Zuma Film Festival 2006. She was also nominated for a Canadian Screen Award 2011 for best photography in a comedy series for "Winging It". Feature film D.P. credits include - for Rodman Flender:"The Nature of the Beast", John Greyson: "The Law of Enclosures", Su Rynard: "Kardia", Frances Anne Solomon: "A Winter Tale", and Keoni Waxman: "The Highwayman", as well as second unit Director of Photography for "Reign", "The Robber Bride", "The Good Times are Killing Me" and the BBC mini series: "The State Within", as well as VFX splinter unit for the feature film "ANON".